We help you discover hidden attack vectors in IoT and connected devices before someone else does. 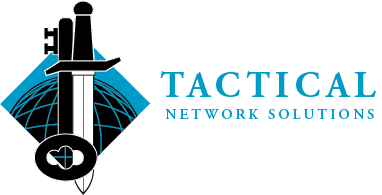 Since 2007, companies and governments across the globe have worked with Tactical Network Solutions (TNS) to secure their company, devices, and intellectual property – which boils down to less risk. They’re intrigued by our firmware evaluations that hone in on exploitable weaknesses in devices the same way the bad guys do. But we work better, smarter, faster. Firmware evaluations have revealed thousands of hidden attack vectors, erroneously placed private crypto keys, and insecure binaries with highly vulnerable function calls within firmware. Plus, companies and governments worldwide participate in our live, in-person, hands-on training. All classes focus on some form of reverse engineering: hardware or firmware. Our growing community of clients includes firmware developers, underwriters, law firms, medical device manufacturers, governments and intelligence agencies who are united through a common goal: to discover hidden attack vectors in IoT and connected devices before someone else does.